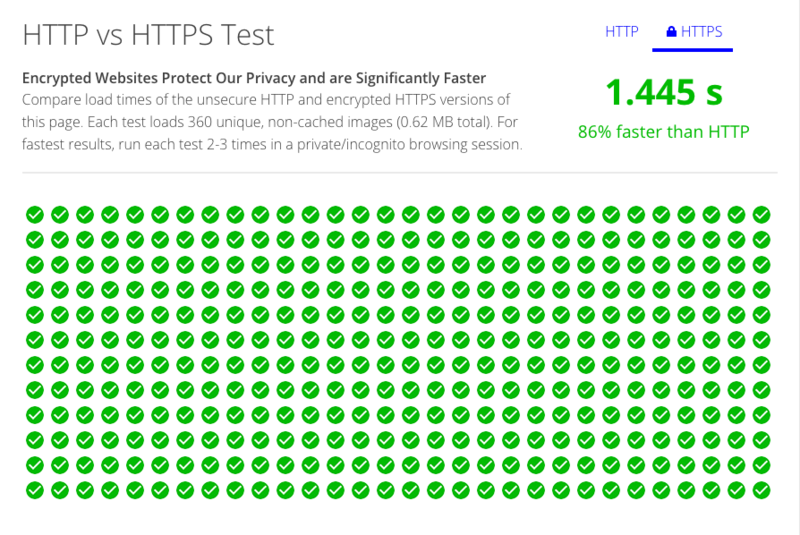 How much faster is HTTPS??? OK, so it’s not a typical real world example – as the test is on load-time of a page with with so many uncached images (360 to be precise) – but the difference really is shocking. HTTPS FTW.